"The Hymns Sessions" Out Today! 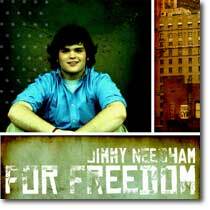 8 years ago yesterday I stood in front of 200 college kids in a coffee shop off the highway and debuted my very first indie album "For Freedom" (2005). 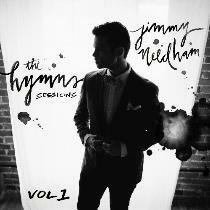 It is now 2013 and once again I'm releasing another indie album, "The Hymns Sessions: Vol. 1". It is a very gratitude-filled moment for me to share my 6th record with you all today. Last night before bed, while Kelly was asleep, I grabbed one of my old journals. I read the entry for Sept. 10, 2005, the day after my CD release concert. "Thank You for giving me words to say last night. It is my absolute ecstatic pleasure and joy to serve You like this...Lord, if this is Your will, may I continue to be obedient to do music ministry with boldness". What an awesome thing for me to say today that God's answer to my prayer was "Yes!". Since most of the folks getting this record will never own a hard copy of it, you will most likely never see my "thank you's" on the inside. So let me say some brief ones now. Thanks to my wife Kelly, who has been my ally since day one of this music thing (she actually played violin at my first release concert). Even right now she is downstairs working on email blasts to my fans about the record. I love you and my heart is so full of gratitude it hurts. Thanks to all of you who have caught the vision with my music, who have shared with friends and retweeted and come to shows and written me countless encouragements and submitted thousands of prayers to God on my behalf. I love you guys and your passion for my art and the gospel. To the folks in my life who have invested in me, taught me, loved me and helped me with my music: I'm indebted to you. And to my Lord Jesus, who condescended to love an unworthy specimen like myself. Thank you for bringing me into the family of God, giving me a new name, befriending me, filling my heart with gladness and my mouth with words to tell of it. I love you most. Well, that's it from me. I hope the new record blesses you. If you haven't bought it yet, you can order a hard copy from my website or digitally from iTunes or Amazon, among others.